In January, amid much fanfare by Trump, Ford canceled plans to move 700 production jobs to Mexico. Hooray! Today, Ford announced buyout offers to nearly a third of its white-collar force of 30,000 salaried employees. Ford’s goal is to get rid of at least 1,400 jobs. 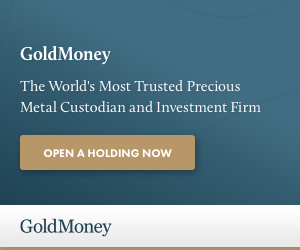 Ford Motor Co said on Wednesday it plans to cut 1,400 salaried jobs in North America and Asia through voluntary early retirement and other financial incentives as the No. 2 U.S. automaker looks to boost its sagging stock price. The company said a large group of salaried workers would not be covered by the planned cuts, including those in product development and in the Ford Credit unit. The cuts will not apply to Ford’s Europe or South America units. Ford shares are down nearly 40 percent since Fields took the helm in July 2014. Ford — the canary in the coalmine. When self-driving cars hit in earnest in the next decade and ownership utility doubles, sales will be cut in half. You are so wrong. When self driving cars hit in earnest the sales of cars will increase, not decrease. Insurance rates will plunge. Prices for parking spots in cities like New York will plunge because they can be centralized. A smart car will almost surely get better gas mileage and have lower maintenance costs. Every person who cannot legally drive is a potential new customer. Everyone who thinks driving is a hassle is a potential customer. Everyone living in a city where it is now inconvenient or too expensive to own a car is a potential new customer. Even people who don’t own a self driving car may rent one for long road trips or to go site seeing while on vacation. The market is huge. Everyone who thinks individual ownership of cars will end in favor of a fleet of self driving taxis is delusional. You guys all fall for the Venture Capital bologna. The companies are losing Billions. And it will cost billions upon billions for road repair and markings etc….. the entire nation will have to redesign and upgrade their streets. In my area there are a ton of dirt roads, I guess they will have to pave them all. Mish Tell Me What The Car Costs ???????? 8 hours of computing ???????? And how is THAT POWERED ???????????????? AND COOLED ???????? I fall into the category of chumps who bought an hybrid vehicle only to get rid of it and return to conventional internal combustion vehicles. I owned a 2011 Ford Escape Hybrid and had to get rid of it when it had an electrical fault in the Hydraulic system that is linked to the braking that recharged the battery. Ford wanted >$5K to fix the issue. After researching the issue I found that this was ongoing in the Prius technology that was licensed by Ford and that Ford attempted to remedy it by changing the part year to year without fixing the underlying issue. Of course the repair was going to cost me a fortune because the part to fix was unique to my model year and none of the similar parts from other years would work. Basically Ford would not guarantee that I would not have the same issue going forward post repair. It was also fun dealing with a large Ford dealership where none of the mechanics were hybrid certified. This was because the dealership would not keep their mechanics certified due to the high cost of this training (beyond the initial ceritification). Fortunately we won’t have issues like this with this new self driving technology. I switched to Honda and have had NO service or vehicle issues since with my non hybrid vehicle. Consider me to be a (very slow) adopter of this coming new technology as I have done my part. But was that the hybrid, or was it the Ford? Just too much capacity and a flood of x-lease. No clunkers left to give cash for too. When capacity = new car demand, the industry will be smaller in the west. Hyundai looks at their repair parts sales. Any part that has high sales volume is redesigned to prevent failure. Ford looks at their repair parts sales. Any repair part that does not sell is redesigned cheaper. Planned obsolescence. As American as apple pie. I can already hear the screeches for protection when China tromps on these weasels. This is good. Fewer managers while keeping production up. Unions win. 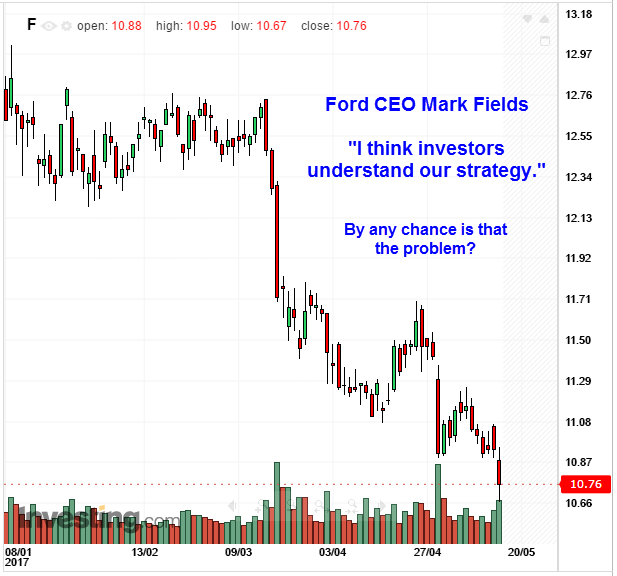 Looks like Ford intends to remain a profitable company; what a concept! There are too many car companies. I expect 25% of them to disappear or be absorbed by 2030. Cars today are like the consumer electronics industry 15 years ago. I think that is very insightful. If you can’t make good money selling $80,000 pick-up trucks, you have a problem. Not everyone needs a Cadillac or Lincoln pickup truck, but they do make plenty of profit on those. While Cadillac and Lincoln have SUVs, they haven’t had pickups for several years. They were not too successful with the last of the EXTs made in 2013. The Blackwood was a total failure. Dare I say a connection? We knew this was coming and i’m sure that GM and Fiat-Chrysler similar offerings will be in line. Automotive innovation is really more gimmicks to hike prices and boost sales. Winnebago, were giving ’em away. Of course the worst hasn’t hit, we have yet to hear from all the more than sub prime loans where no cosigners are needed, no credit checks are done, no down payment, no proof of ownership required. How come all these smart people with their MBAs and PhDs can’t figure out the nuthin from nuthin leaves nuthin, ala Billy Preston. So Ford wants to be in the “mobility” business trying to finance expensive “Mobility” vehicle with no money down. Why? Because they can be self repossessed. Self driving automobiles, the wave of future profits. So tell me, where’s the money? With all the accumulation of consumer debt, where is the money coming from? And all those good paying (or high paying) union jobs the new vehicle is going to be how much cheaper? Oh, right, all those managers and staff are going to go out and buy one even if they retire early and can’t make their mortgage payments. Too much sunshine up my skirt, I’ll tell you. If only Trump had brought those jobs back before they eliminated, he could have celebrated another empty victory. Ford has better economists than the other car companies. It was ready for the 2008 crisis, and it looks like it’s getting ready for another one. Maybe GM has improved its forecasting abilities. The fact that it’s getting out of money losing markets makes me think it’s learned its lesson. It’s the Japanese and Korean car companies that will need to be saved next time around, except that the support will be behind the scenes, to keep up the appearance that these companies aren’t the welfare cases they actually are. I follow Ford closely and agree with you. They are consistently looking beyond the current cycle. One should note, these RIF does not touch product development. The difference between Ford and Tesla…. is that Ford is (sometimes) profitable, whereas Tesla cannot survive without ongoing Obama subsidies. If Trump really wants to protect US jobs and create new US jobs — he should have repealed Obamacare like he promised. its a fraud. We have to get health COSTS under control, and the US government is singularly unqualified to control costs on any subject (see every government program on the books for proof). Tell your congressman to repeal obamacare like your lifestyle and livelihood depends on it — because it does. Of course, it requires the active and vigorous prosecution of fraud, collusion, and racketeering that is rife in the healthcare, drug and medical devices industries. Single payer does nothing but institutionalize the fraud and racketeering. We can’t repeal Obamacare now. You will not get any politician to survive the backlash from media and public outcry when they face the reality that maybe you can’t have someone else pay for your $100,000/month healthcare bill. Because politicians have entered into the game they are labeled “death squads” if they attempt anything that limits, restricts, or caps the amount of healthcare provided to an individual. Maybe they could limit it by saying you only get $20,000/year, which is a LOT. But you can be certain that the annual doctors visit will soon reach $15,000 because there’s nothing to stop it from doing so. But by then you’ll have to raise the ceiling because real healthcare problems will force you to either raise the ceiling or be declared a variation of a death-camp Nazi in the eyes of socialist media. Had Obamacare started with guaranteed & unlimited aspirin we would have the same problem. Politicians would gain votes by adding more to the bill (Zyrtec) and get lynched for attempting to reduce availability of anything. There is no exit from this any more than we can exit any other social welfare program. The only time any country has is under dictator rule or complete collapse. I used to like Chebbies until the last new one I bought in ’78. Then I switched to Ford and kept on buying Fords. In my family right now we have 7 Fords and we like them. The only problem I have with FMC right now is: not enough manual transmissions available, and no diesel cars, only trucks. FMC does make the kind of cars I like in europe, but not available here in US. If Ford slashes jobs and shares tumble, something must be really, really bad. Unless the journo who wrote it, is an unpaid intern who is still clueless about how things are supposed to go. I’m not sure which is a bigger scam, hybrids or self-driving (i.e. Government programmed) autos….Perhaps the next wave of debt will be to force purchase of these unnecessary and inefficient clunkers! James: I don’t think increased utility will correlate with an equivalent decrease in sales, though I expect some decrease in sales. Phillip: Interesting point of view for why sales may increase, though I think you are over-estimating. I still expect a slight drop off in sales as a result of autonomous. Alexa: Liked your phrase, “Mishunderstanding”. Disagree with your concerns regarding Data and costs. Tech advances so quickly that these are not concerns. Kidhorn: Agree. Too many car companies. Mergers are on the way. Or at least, more joint ventures and sharing of tech. With these reductions, Ford is just doing what any well managed company will try to do; plan for the future. The cost of developing the auto of the future (1. Autonomous, 2. Hybrid, 3. Electric) will be significant. Less spending on management and more on R&D will serve them well. Though of course, this doesn’t guarantee success, or even survival. But it positions them well. Autonomous vehicles are a major disruptive technology. I believe the positives will far outweigh the negatives.